This is a great meal for a rainy cool day. 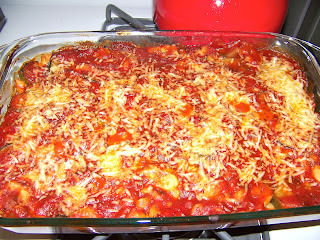 It is creamy and yummy and pretty inexpensive to top it off! Preheat oven to 350 F degrees. 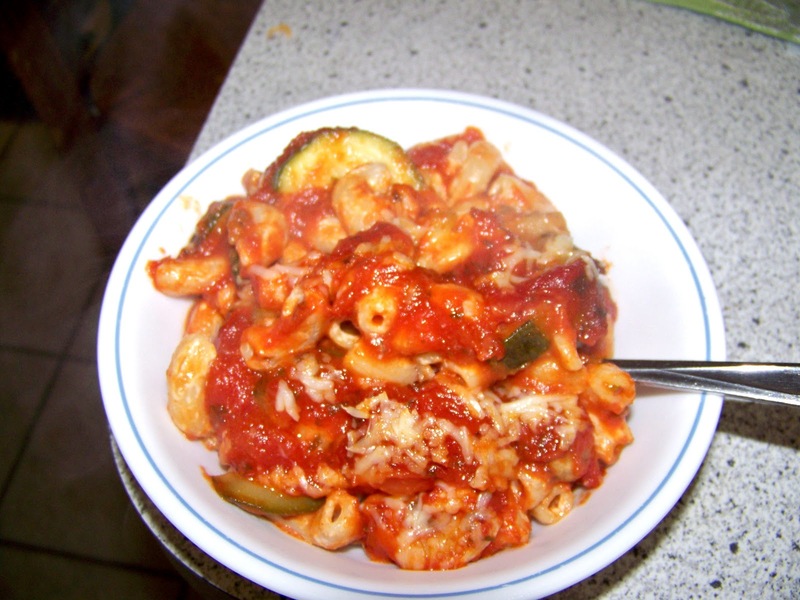 In a skillet, saute the zucchini until cooked through and stir in spaghetti sauce. Set aside. Cook pasta according to directions. Drain and place the cooked pasta in bowl. Add cream cheese, oregano and minced garlic. Stir until cream cheese is melted and the spaghetti is thoroughly coated. Lightly grease a 9x13 pan. Spread a small amount of sauce in the bottom of the dish. Put the pasta on top of sauce and top with remaining sauce. Sprinkle parmesan cheese on top. Bake for 30 minutes, until bubbly. Let set for about 5 minutes serve and Enjoy!